Stainless steel blade, EXOGLASS® handle. 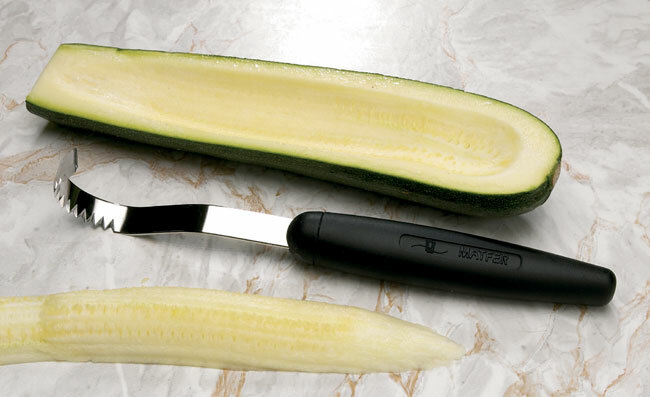 May also be used to scale fish or scoop out the flesh from zucchinis. Dishwasher safe.